We are excited to feature our unique TOMCAT trailer this week, which is used for the transportation of certain units in our product range. This nifty trailer will definitely make your life easier when it comes to loading and off-loading some of our smaller units. 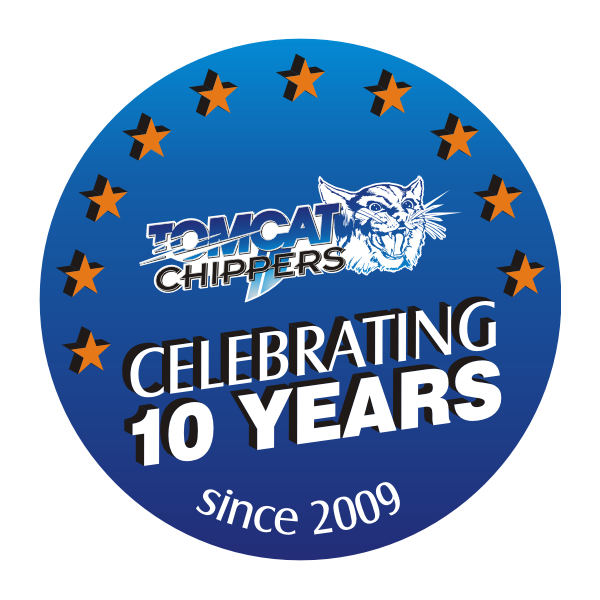 It is specifically built to carry our Model 100 CDT wood chipper or our TOMCAT stump grinder. 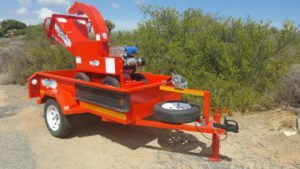 The 750kg roadworthy trailer is built on a single axle with 13” wheels and complies to all SABS standards. 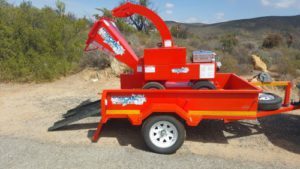 The trailer is completely enclosed with a tailgate that can easily be opened and then swivel downwards. It is fitted with ramps which conveniently fit onto the sides of the trailer during transport. 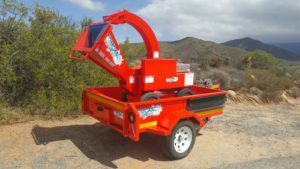 The ramps can then be removed and hooked onto the back of the trailer and the wood chipper or stump grinder can easily be taken off. All attachments are secured using drop blocks which require no tools to open or fasten. There is a winch fitted in front that will enable one person to safely load units onto the trailer. It has 6 hook points inside to ensure that the units are securely fastened and a spare wheel is available in front in case of emergency. Contact us for more info on this handy little vehicle! ← See you at the Royal Show!